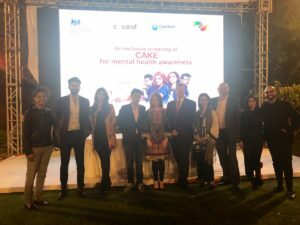 Karachi: 31 January 2019: The British Deputy High Commission, Karachi, in partnership with the British Asian Trust, CareTech Foundation and COSARAF Charitable Foundation hosted a screening of the movie Cake to raise awareness of mental health in Pakistan. 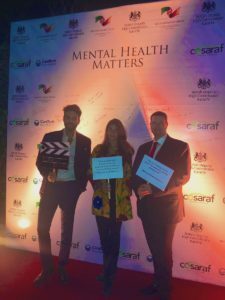 Sayed Zulfiqar Bukhari, the movie’s producer and Special Assistant to the Prime Minister and Minister of State on Overseas Pakistanis and Human Resource Development, along with Sanam Saeed and Adnan Malik, Cake’s leading actors, attended the event to take part in a panel discussion. The CareTech Foundation was established in 2017 by CareTech plc, a leading provider of social care services in the United Kingdom. It has a goal of supporting sufferers of disabilities and mental health problems, supporting local communities and developing skills in the care sector. The COSARAF Charitable Foundation was established in 2007 by Haroon and Farouq Sheikh, and the wider Sheikh family, to benefit communities and individuals in the UK and abroad. The Foundation’s work focuses on promoting strong and cohesive communities, enabling young people to realise their potential and empowering women and girls.